This unique activity will lead you on an adventurous mission. Your mission… find hidden Mickeys! Sounds like fun, right? As to how it works, both Disneyland Park and Disney California Adventure Park will have their own “Looking for Mickey Quest.” Guests wishing to play along can purchase a Quest Guide at various locations. After you discover all the Hidden Mickeys alongside the clues on your Quest Guide, you can then turn in your Quest Guide for a surprise either at Disneyana (Disneyland Park) or Elias & Co. (Disney California Adventure Park). 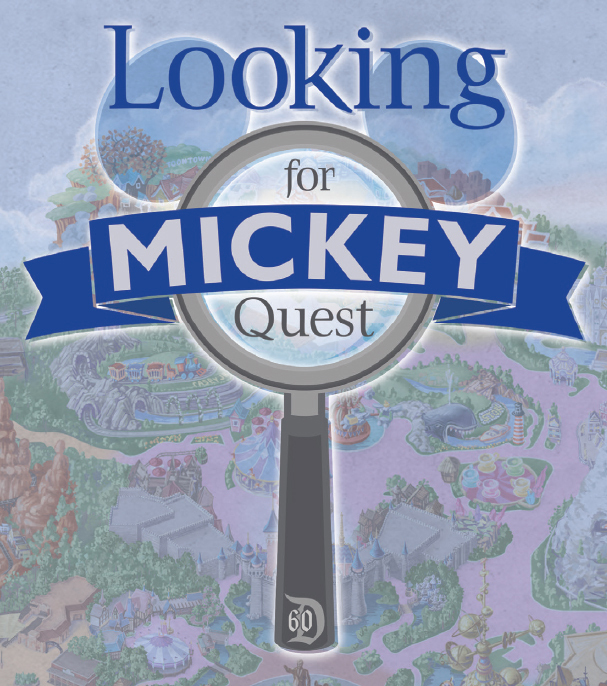 The Disneyland park “Looking for Mickey Quest” Guide has twenty (20) questions and can be purchased for $19.95, plus tax, at the following locations: Disneyana, Gag Factory, Pieces of Eight and Star Trader. Quest Guide comes with a specially themed lanyard. Available while supplies last. No discounts apply. Limit TWO (2) per guest. The Disney California Adventure park “Looking for Mickey Quest” Guide has ten (10) questions and can be purchased for $12.95, plus tax at the following locations: Elias & Co., Off the Page, Oswald’s, Radiator Springs Curios and Tees, Hats and Tattoos. Quest Guide comes with a specially themed lanyard. Available while supplies last. No discounts apply. Limit TWO (2) per Guest. “Looking for Mickey Quest” will begin on July 16. Please note that terms are subject to change and will run while supplies last. Would you like to take part in this fun park activity?